Well, after being stranded here in New York for the past few days, I am leaving tomorrow for Detroit, my hometown. Detroit has a lot of great architecture and I wanted to blog about something that is truly Detroit. One of my fondest memories as a kid was when my parents would take us to Canada for the day to shop. Back when I was a boy, the U.S. dollar was worth a $1.25 in Canadian currency, so I was able to get more for my money. I loved driving through the tunnel listening to CKLW on the radio (the only station that could be played in the tunnel). My brother and I would always wait for the exact moment where you left the United States and entered Canada (see photo below). So, I am blogging about one of the greatest engineering feats of all time. I hope you find it as exciting as I do. 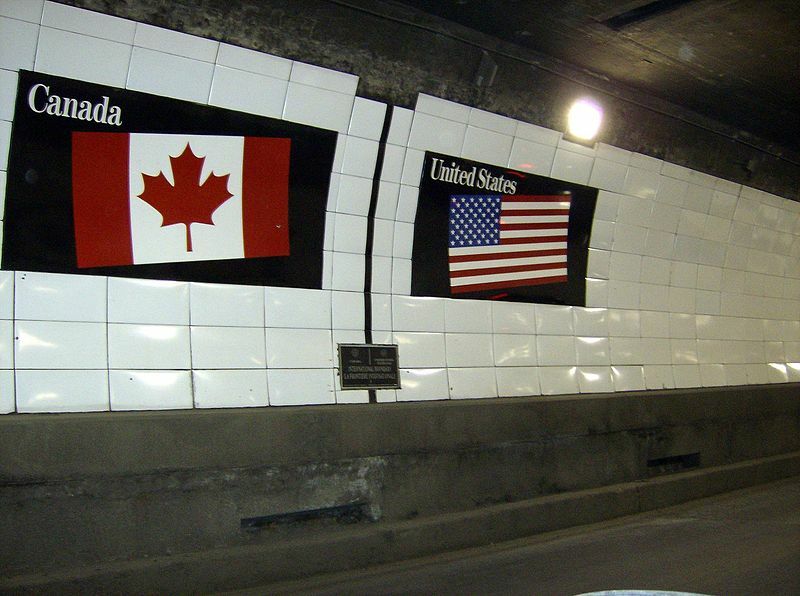 The Detroit-Windsor Tunnel was formally dedicated on Saturday, November 1, 1930. President Herbert Hoover turned a “golden key” in Washington that rang bells in both Detroit and Windsor to mark the opening of the tunnel. 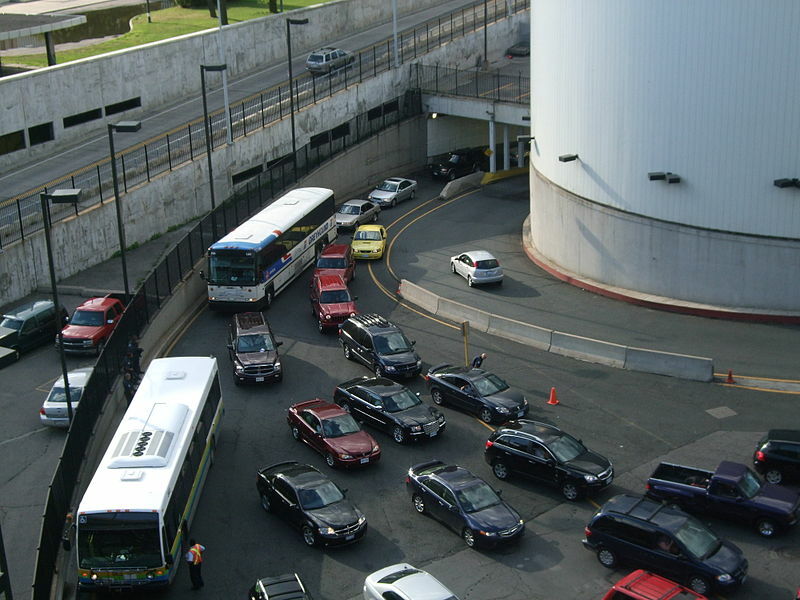 Approximately 12,000 vehicles pass through the Tunnel on a daily basis, handles almost nine million vehicles per year, of which 95% are cars and 5% are trucks. 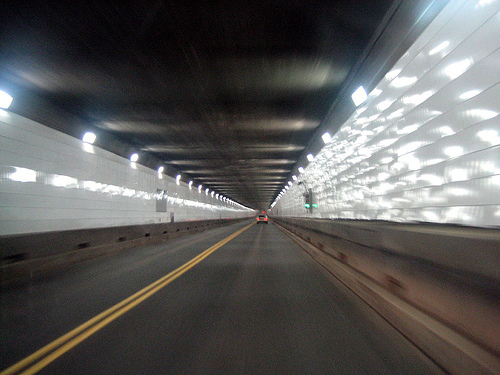 Ventilation – 1.5 million cubic feet of fresh air is pumped into the tunnel each minute. 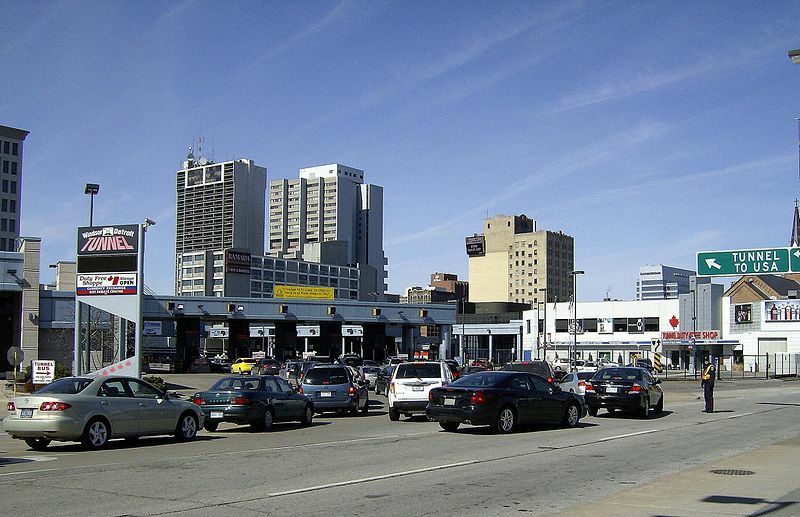 Did you know that the Detroit-Windsor Tunnel is the only existing sub aqueous international vehicular border crossing? That means it is the only underwater-tunnel that crosses International borders in the entire world! As you travel almost a mile, 75 feet below the surface of the Detroit River, you’re surrounded by 574 lights, 80,000 cubic yards of concrete, and 750 tons of reinforced steel. 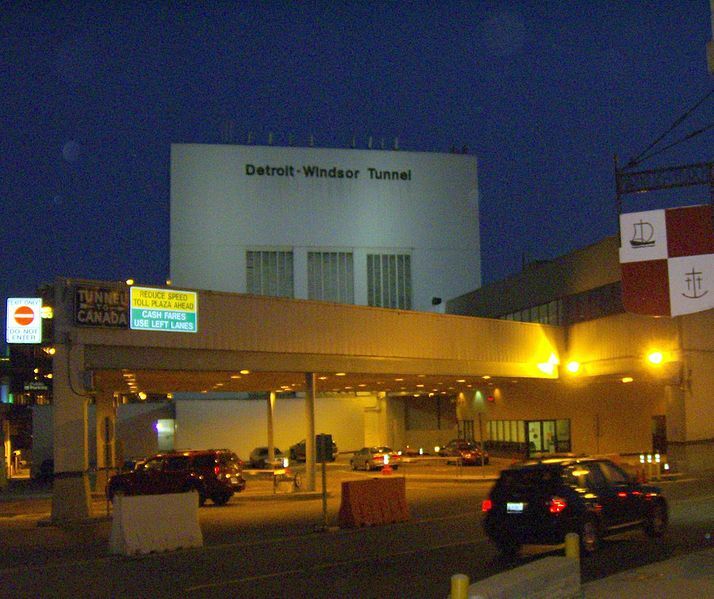 Located between Detroit, Michigan and Windsor, Ontario, The Detroit Windsor Tunnel connects the U.S. Interstates to Ontario’s Highway 401. 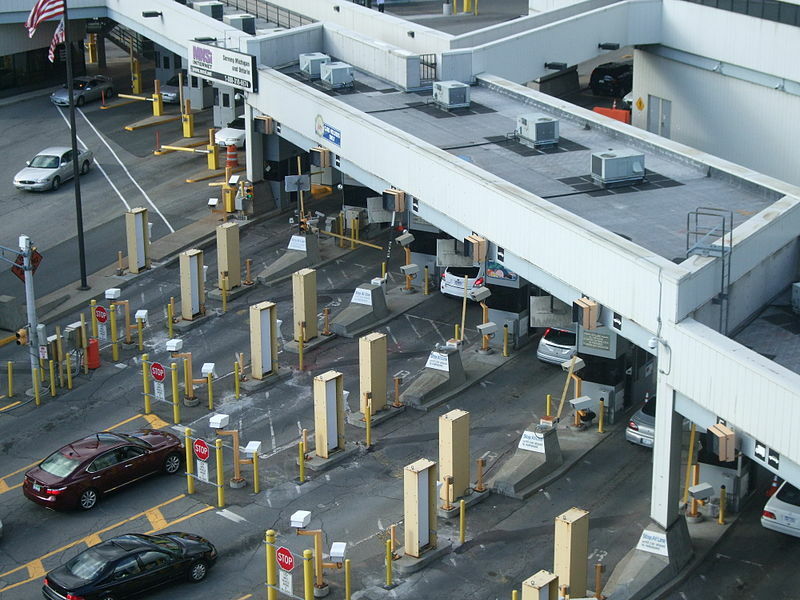 It is a large complex consisting of toll and inspection plazas on each side of the Windsor-Detroit border where you pay for your crossing and undergo inspections by Immigration and Customs. The Tunnel is 5,160 feet long (1,573 meters) with a height clearance of 13 feet 2 inches (4 meters). The roadway is 22 feet wide (6.7 meters) and allows for two lanes of traffic in opposite directions. The maximum depth of the roadway beneath the river surface is 75 feet (22.8 meters). Entering from the American side at Jefferson Ave. Entering from the Canadian side at Goyeau Street. The Detroit-Windsor Tunnel Official Website, http://www.dwtunnel.com.